Life is so simple that everything is available ready made these days. However, a home cooked meal is the best thing in the world. Simply because the smaller the quantity, the greater the attention to detail and hence, better the taste. Also, you can vary the ingredients as you choose. One such dish is garlic bread. Having never made it myself, till yesterday, I always thought it tastes best when ordered at Pizza Hut. Only, it gets cold and tasteless by the time it gets home. 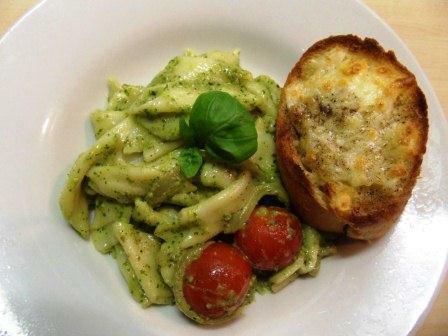 Try this recipe at home and you will never purchase garlic bread from the market. Peel and chop the garlic cloves and mix with the butter. Keep aside. Slice the baguette along its width to get 1 inch thick circular slices. Pre-heat the oven to grill. 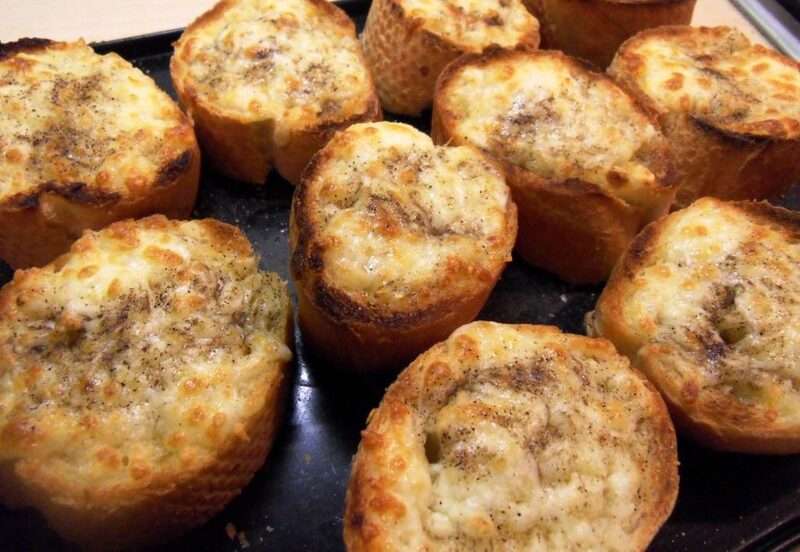 Spread the garlic butter on the baguette slices. Sprinkle mozarella cheese and salt and pepper. Pop the slices in the oven and grill for 5 minutes. Tip: You can add chopped veggies on top of the mozarella cheese for some color and extra flavor.